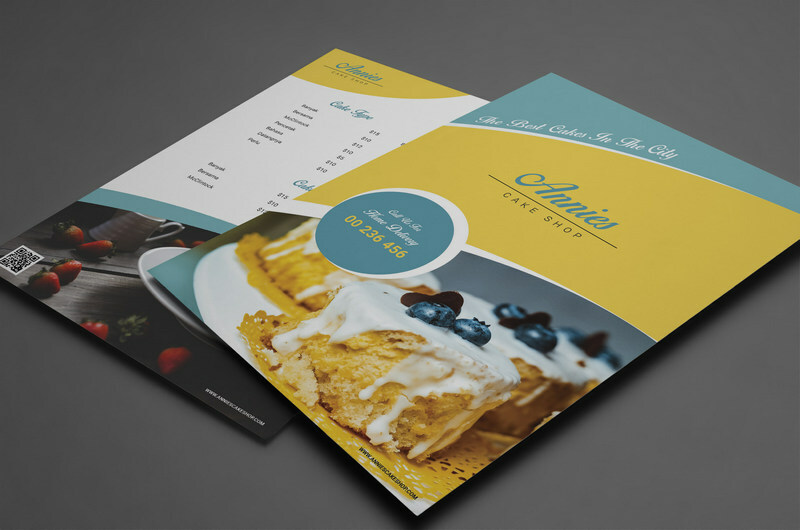 With these new and free restaurant flyer menu templates, you can easily create a menu cover design, flyer pages for any restaurant, shops with ease. 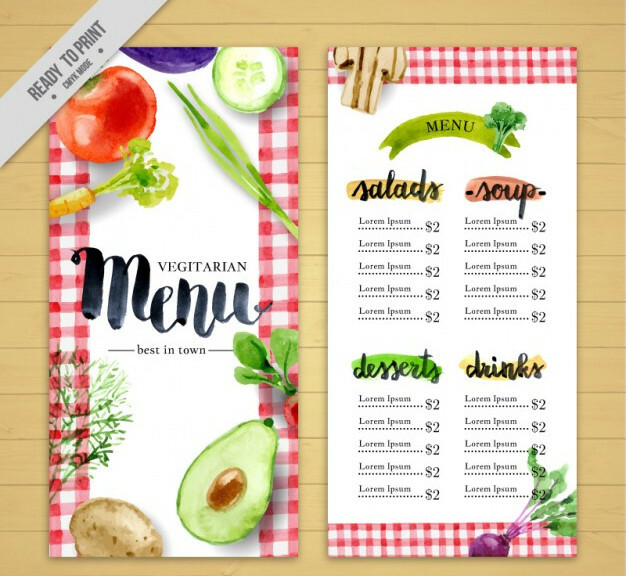 Photoshop and illustrator templates which are for free download in AI, EPS, PSD format will provide high print output for your menu cover designs and interior elements of your restaurant menu. 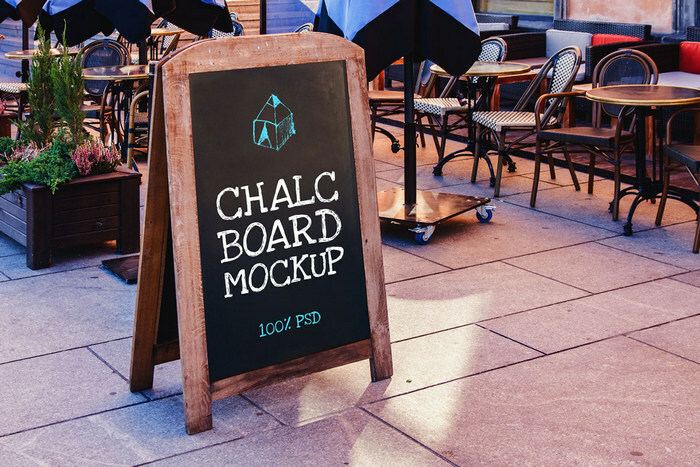 The PSD files let you add a background image, product stock, change texts etc and by doing so the whole design will become unique. Vector files will be much more suitable for printing the menu to get a high-quality clear output as they are scalable to big resolutions without loss in quality. 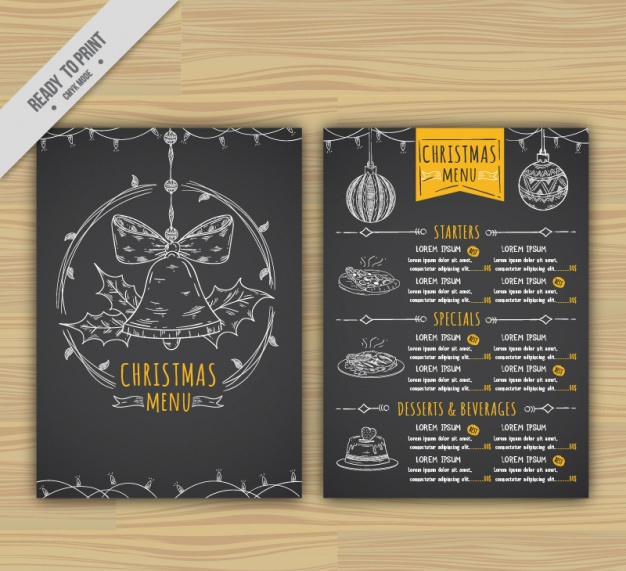 Grab this free PSD, vector files for graphic design of your next restaurant menu project. 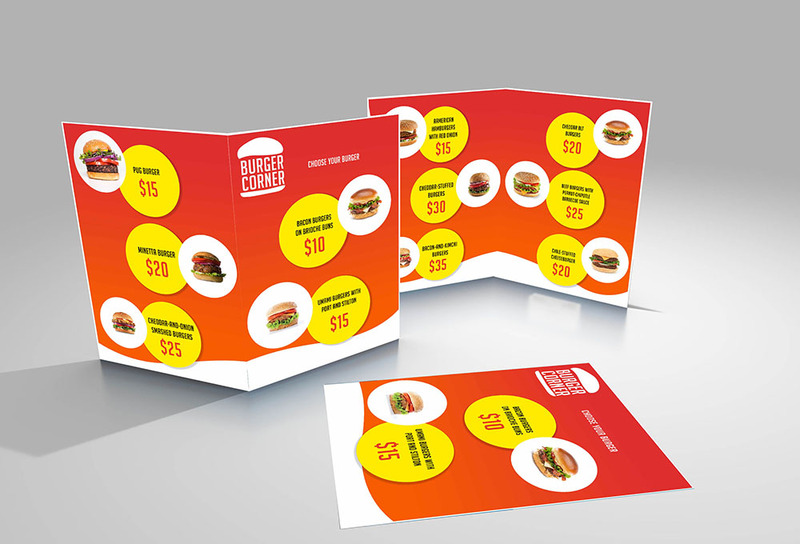 Make use of our exclusive collection of free food flyer templates for your restaurants, cake shops, bakeries, fast food takeouts and much more. All these free printable flyer templates come with a high resolution of 300dpi. 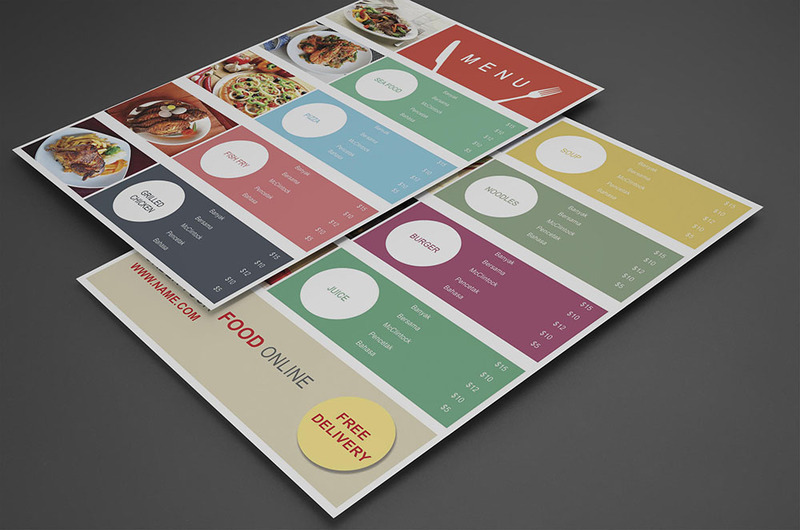 A flat menu template for hotels, restaurants, fast food shops where food matters. 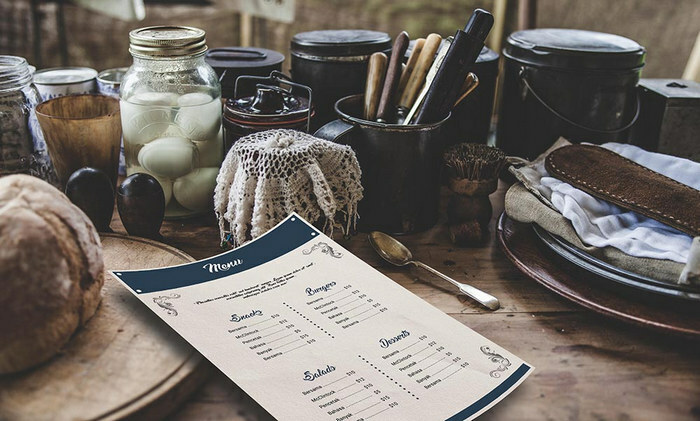 This is a clean restaurant menu design with bold typography and well-laid sections enhance the overall dining experience for your customers. The PSD file provided here is well layered and is totally free for any purpose. 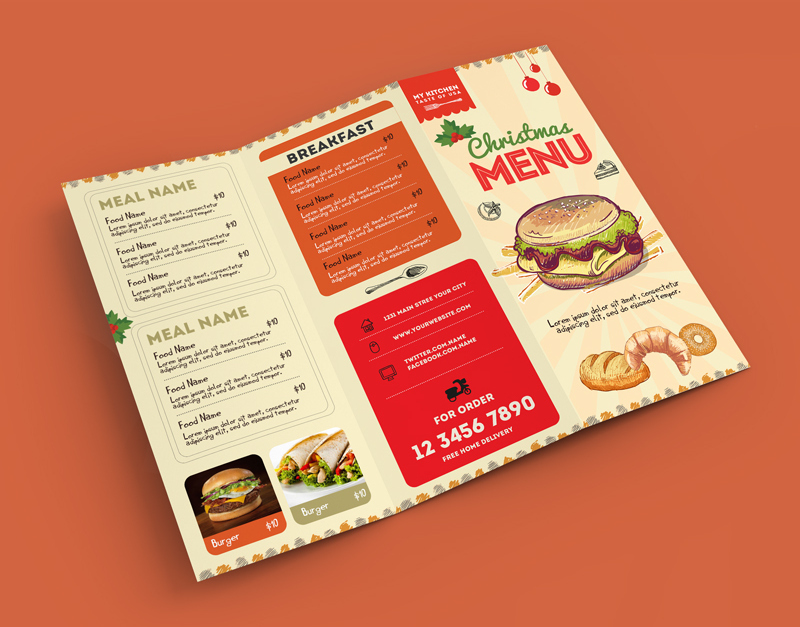 A simple restaurant menu design for marketing your unique food items like burgers, sandwiches, ice creams and more. 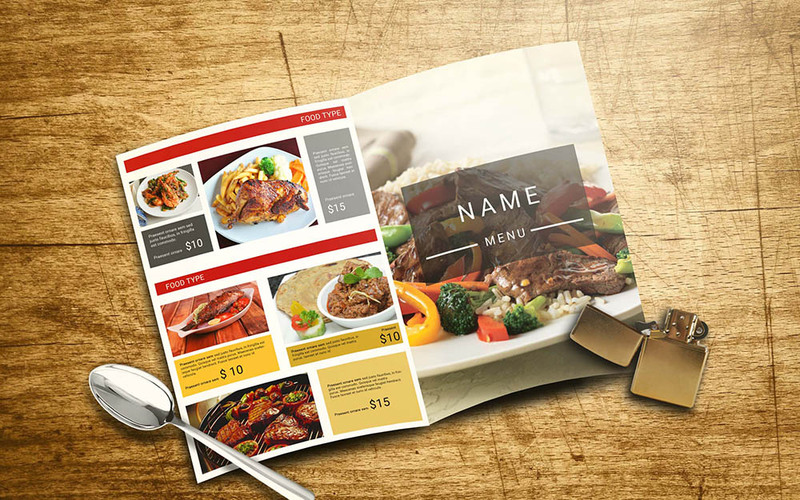 The section spacing gives the customers a chance to get an overall idea of the menu structure. 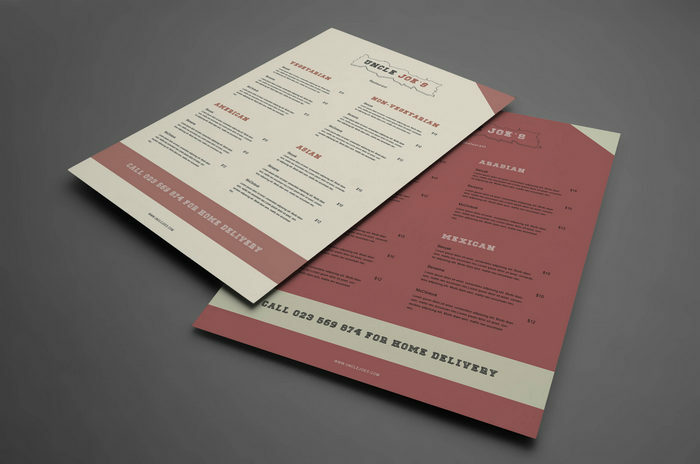 A menu design for take-out or parcel services who like to have a list of their popular food items in the menu. The eye-catching flat design will add to the total look of the design template. Format & Size: PSD, 36 MB. 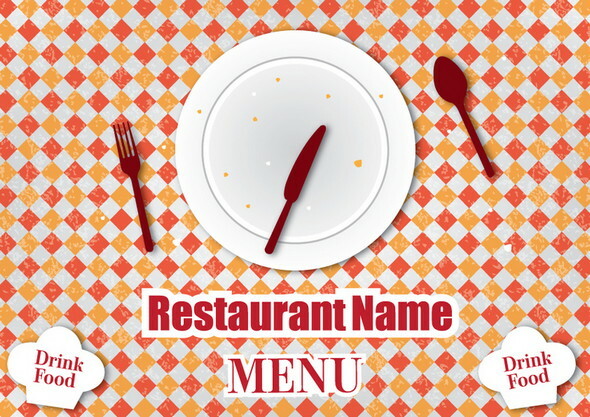 A template for seafood, fast food, food courts or anything alike which offers lots of options for their customers. Add everything to this printable PSD template which has a large footprint. 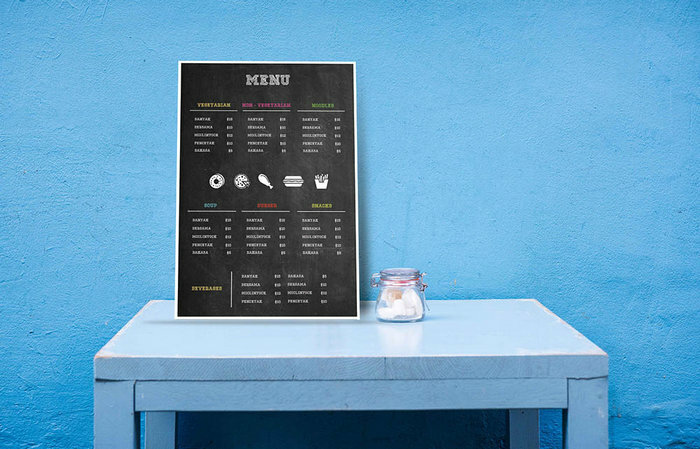 This brilliant menu template is suitable for fast food restaurants where foodies like to get their food fast while on the go. 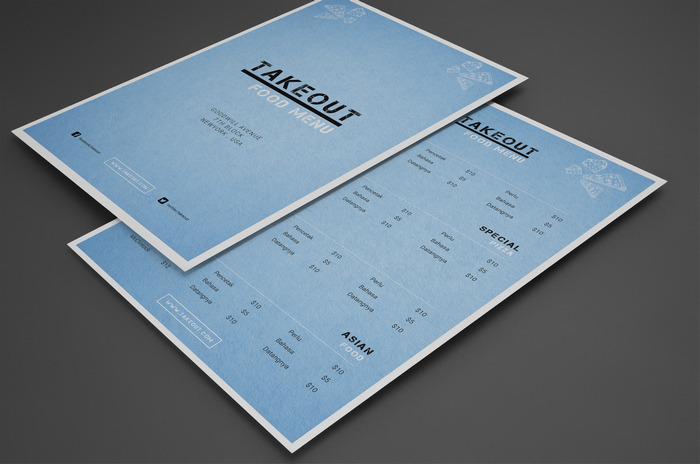 A menu design made for takeaway, drive-through outlets where the customers are in a hurry. The PSD file is free for commercial use as usual. A menu template for fast food, take-out menu hotels, restaurants designed with a unique blend of flat color schemes, bold typography that delivers a clean design. 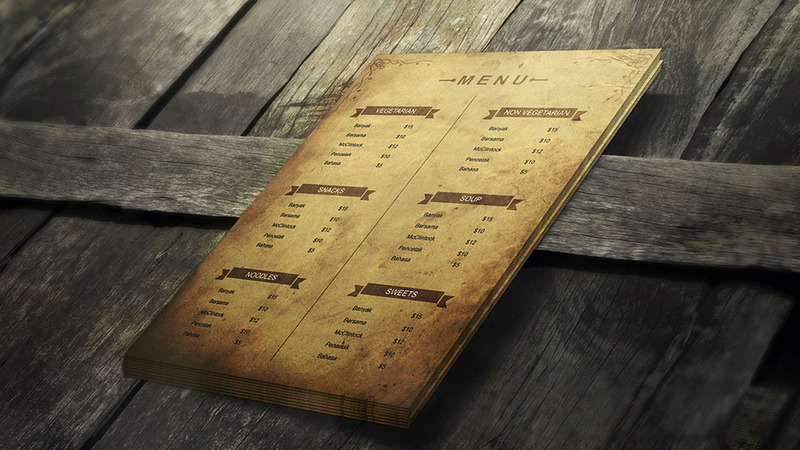 The design has an antique, rusty texture effect giving the whole menu card a unique look. 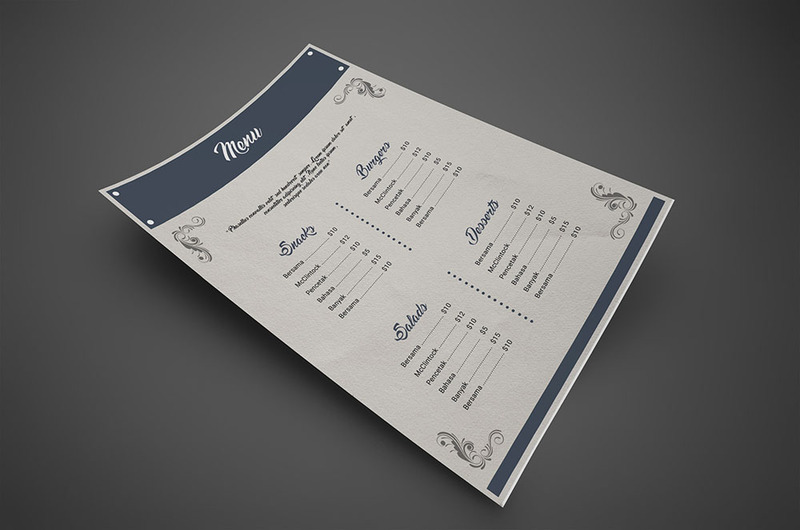 Create your own menu template with our free PSD file that can be downloaded in the link below. 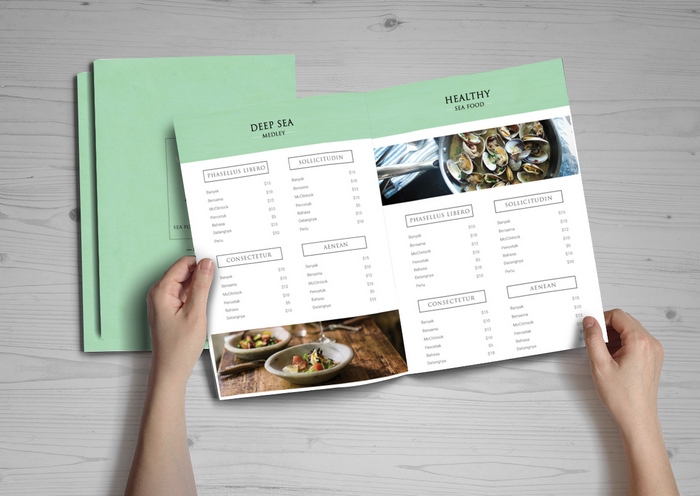 A free restaurant menu template that is printable and uses a CMYK color model for high-quality print. The free PSD file will serve the need for the food business that sells desserts, snacks, ice creams etc. The black color scheme with a clean typography will impress your customers. 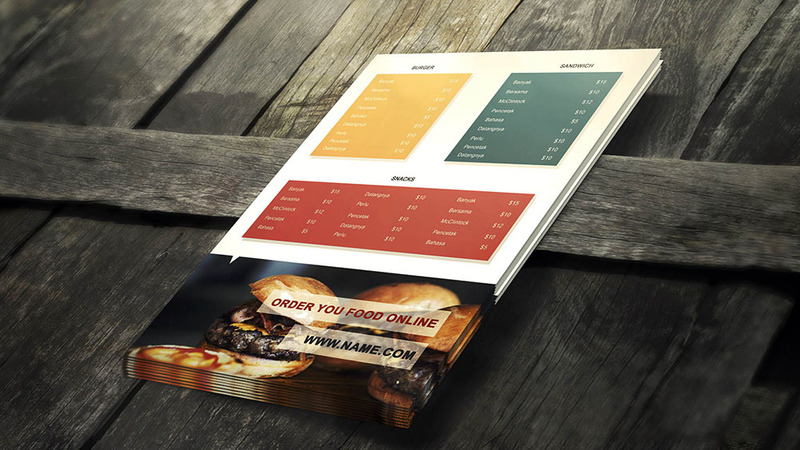 This menu comes with a catalog style design and a menu cover to boost your brand reputation. Add a custom logo, title to cover page and also customize the whole template as per your needs. This free PSD is free for any purpose. The unique design and clean typography with front and back side pages will give your menu template a pretty look. The 300dpi resolution will let you print the design onto a single A4 paper as a flyer or you can stretch it proportionally for a large poster for marketing in the streets. 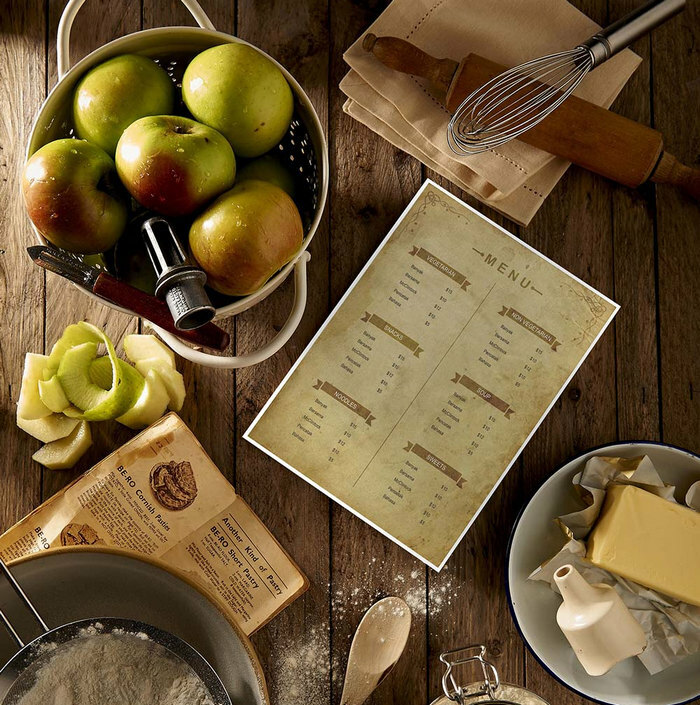 For those who own a pastry, cake shop and are looking for an alluring menu this is something that you want your customers to read from. The psd template is fully customizable to your needs. 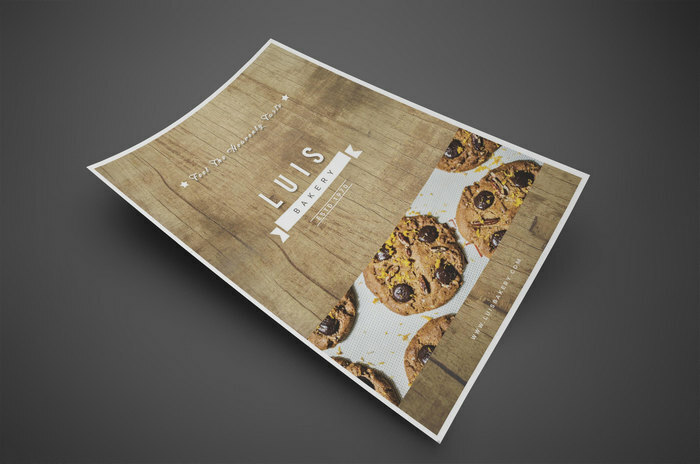 The bakery shops can now rely on this flyer menu template to showcase all their yummy goodies and bread. The psd file that comes with this download is free for any commercial use. 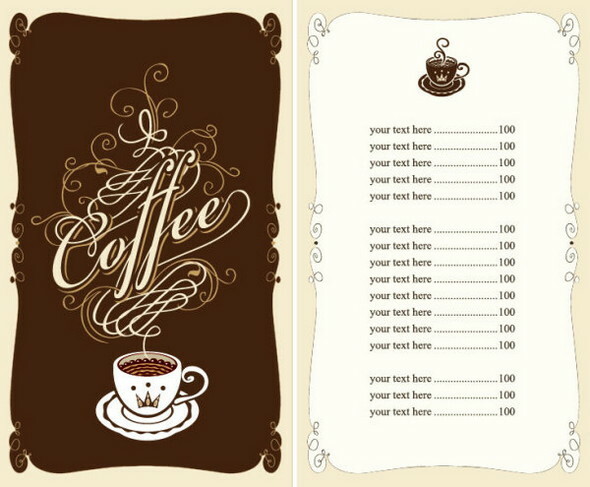 A cafe that has such an attractive menu card is bound to have customers ordering from their counter. 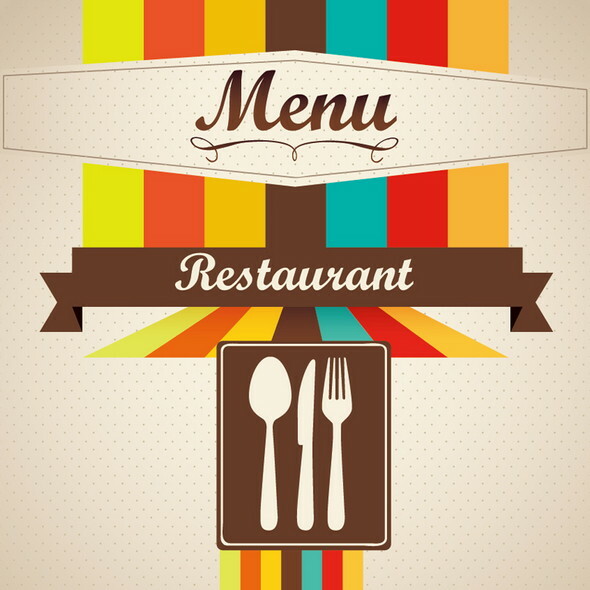 After all, an attractive and detailed menu is what helps you boost sale in your café. This free printable flyer template can deliver 300dpi CMYK output. 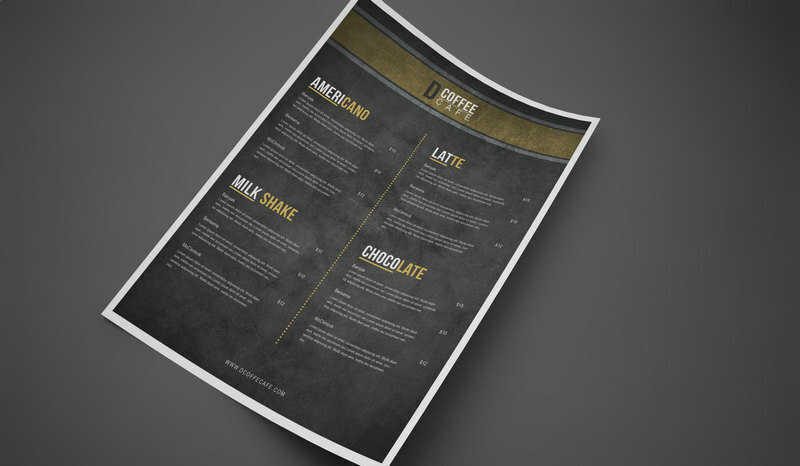 A coffee shop can use this free template to display their aromatic coffee and other beverages that they offer. A single-paged menu is handy and most convenient for customers to browse before they order coffee from your store. The psd is high quality and you can alter yo your needs. From coco-cola to lemonade there is a range of cold drinks that are available in a cold drink shop and you don’t want to waste time in explaining to your customer what your shop is offering. 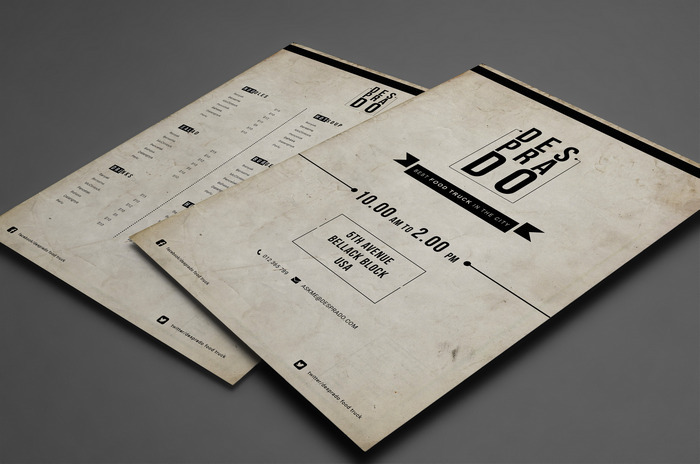 Present them in this free psd menu designed by Designseer and concentrate on the sales of your cold drink shop. A menu for your food-truck will spread the word about the mouth-watering delicacies you offer on the go. Use this psd freebie for any commercial purpose. A restaurant is indeed a place where customers look out for a menu card especially when it is lunch time. You need to have one in place so you can present all the details about what your restaurant has to offer for lunch. The flyer design is simple and has a flat color scheme for modern looks. 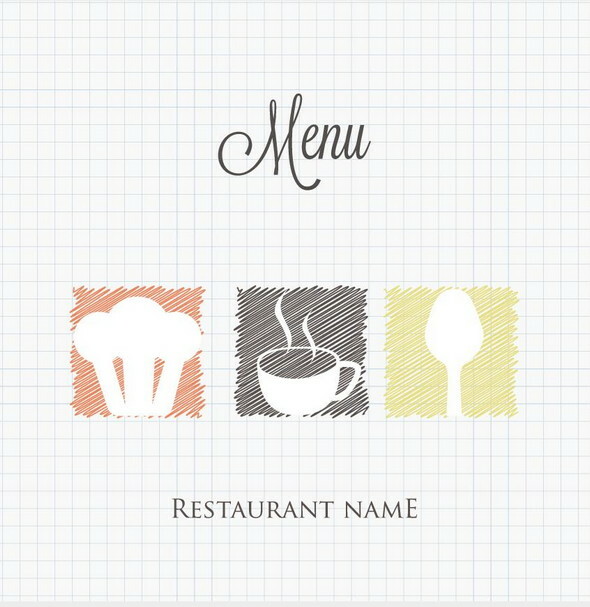 Whether you own a restaurant, a bakery or a café shop you need to have an attractive menu cover that describes your work. 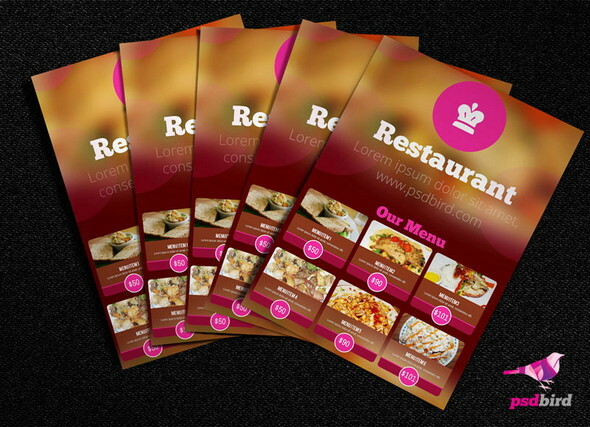 It is a small representation of your place of work and you should make sure that this menu cover is captivating. This free psd file has high quality with 300dpi resolution. 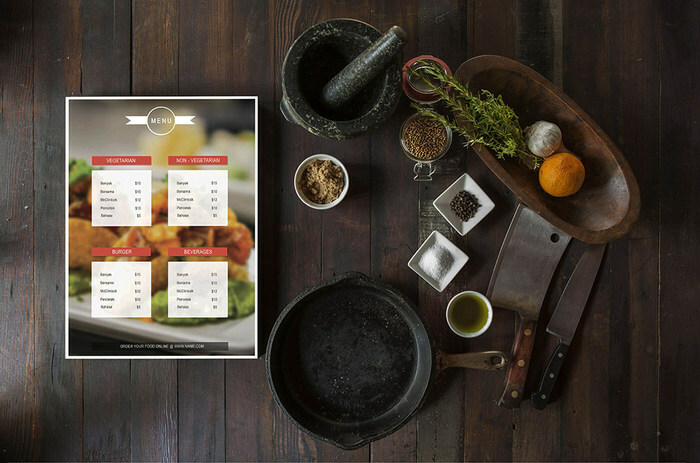 Own a pizza shop and looking for a menu template? 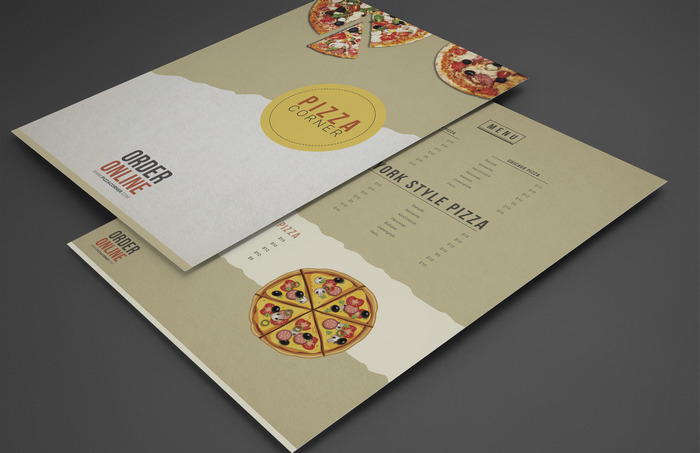 This pizza menu template will have all your specialities mentioned with bold typography style with nice detail. Use the help of this psd and smart objects to add your images with ease. If you have a restaurant that The menu in seafood then you ought to have them sectioned out in a menu. 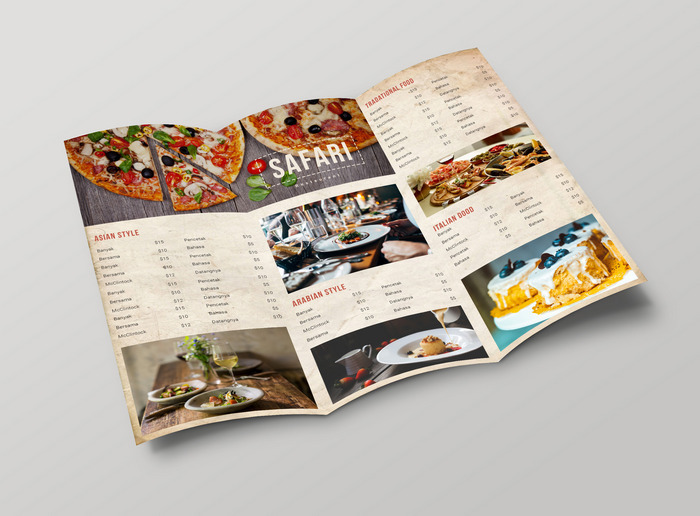 This wonderful menu brochure can help all those looking forward to opening a seafood restaurant and want a cool menu for their outlet. 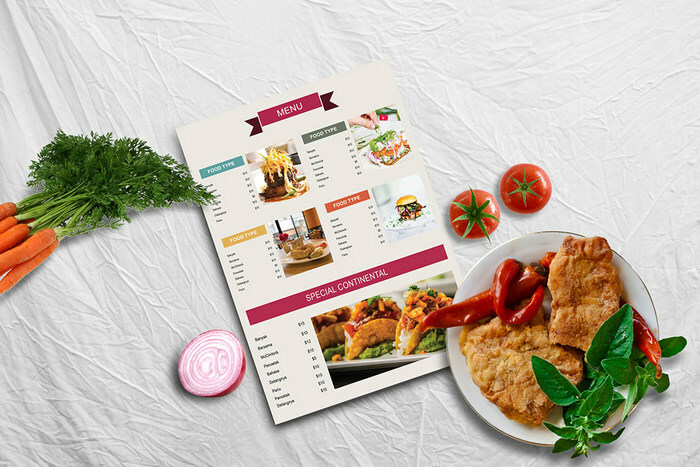 For all Chinese, pizza, Mexican, barbeque, Italian or any kind of joints that deal in takeout or take-away food can make use of this free psd template to design their menu. 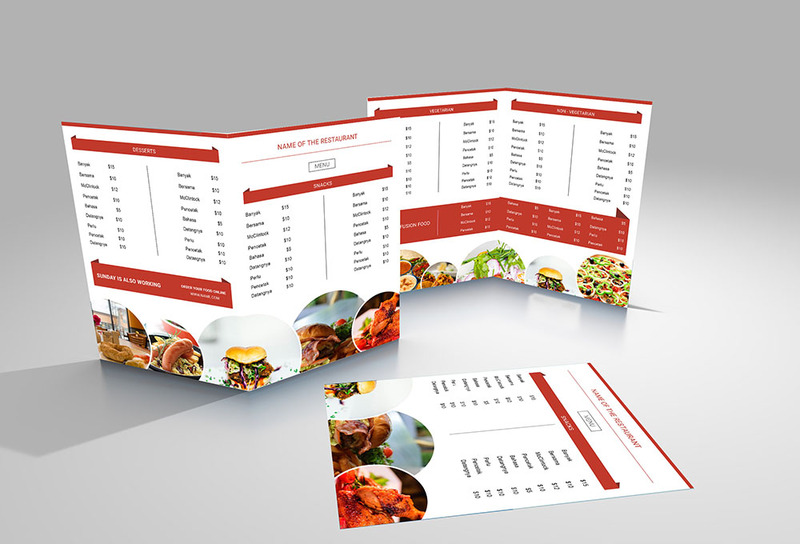 A tri-fold brochure menu comes in handy especially if you have a restaurant and have an array of dishes that need to be mentioned. 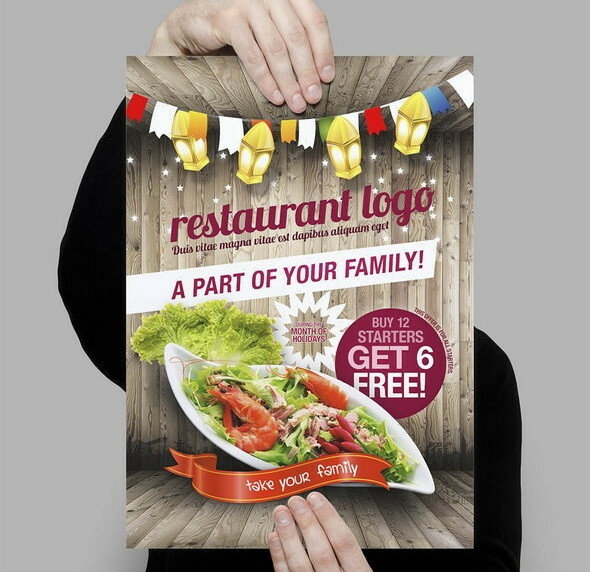 Such type of templates is best suited for restaurants that offer three-course meals. 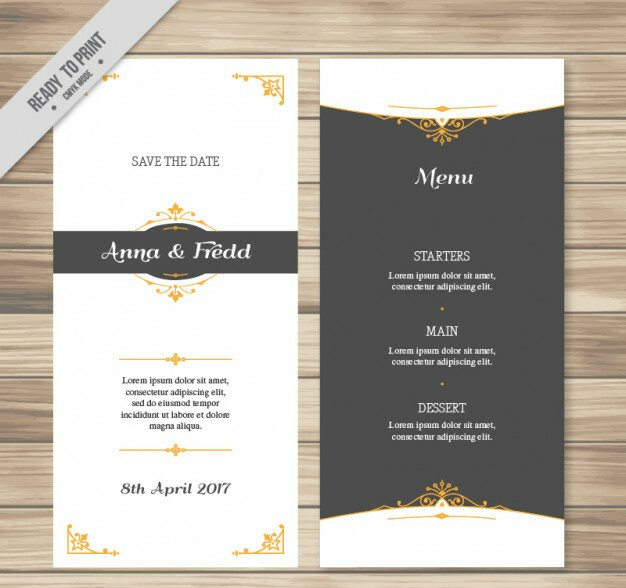 A wedding flyer is generally for the guests attending a wedding. 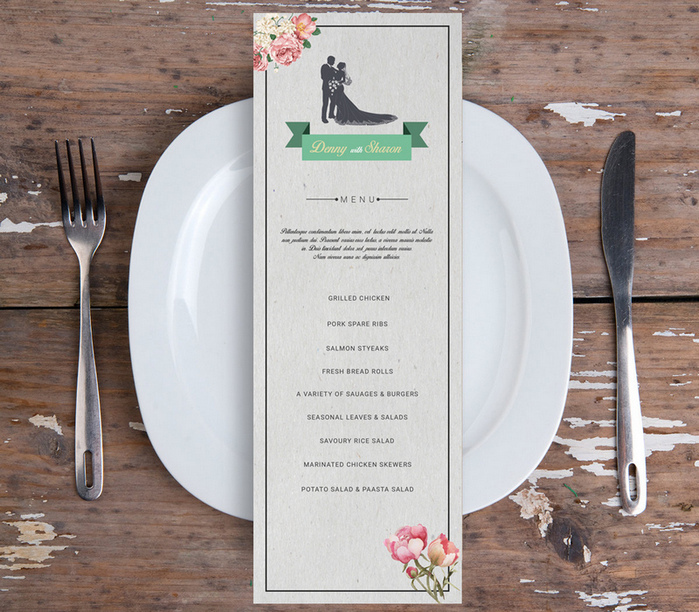 A wedding flyer has a simple list of dishes that are available in the buffet and usually is set in the background of wedding scenarios or pictures. This flyer design is elegant and is print ready with high-quality output. A burger shop usually offers hot and fresh food to their customers. 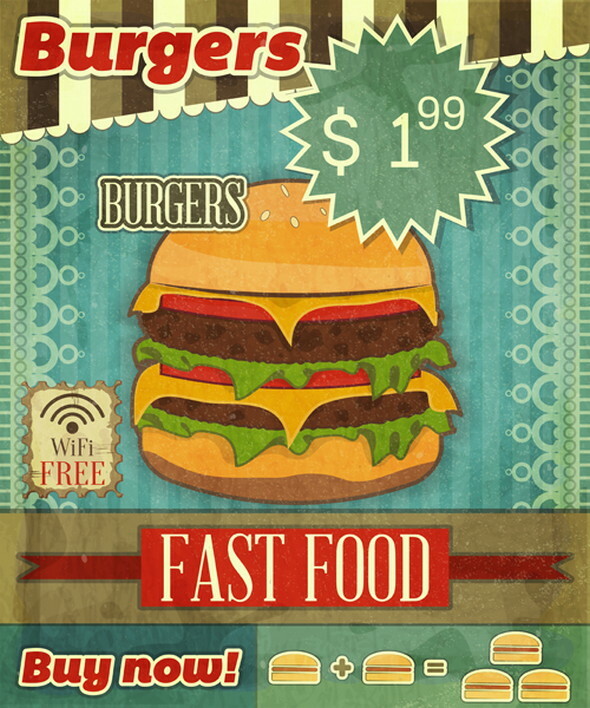 A bright red menu is perfect for the type of place and food that a burger shop would have. 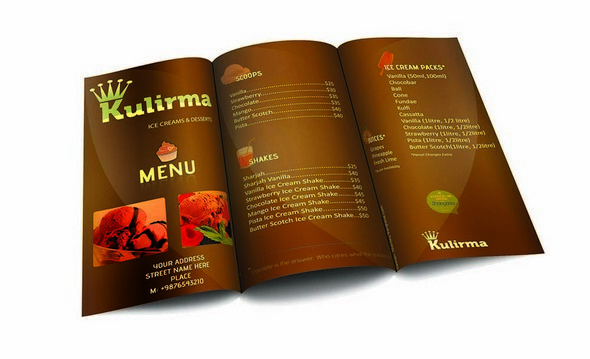 This vibrant and energetic menu design will catch the attention of fun loving people. 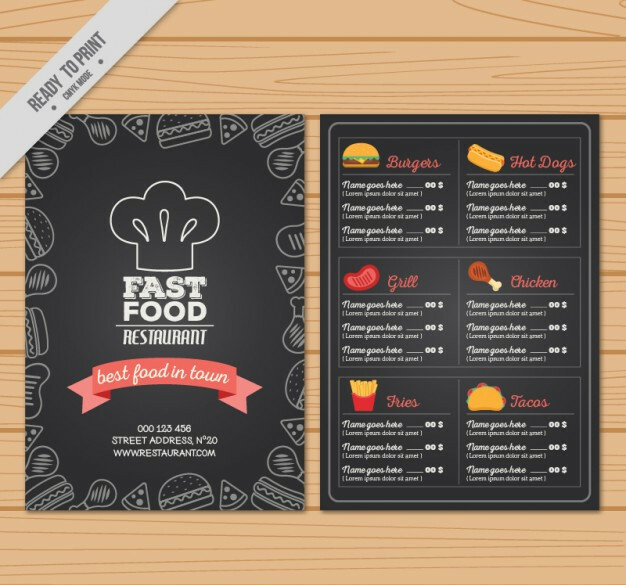 For all the fast food joints that offer lip-smacking food such as fries, burgers, tacos, fried chicken and hot dogs this hand drawn menu card is the best way to present what you have in your kitchen. 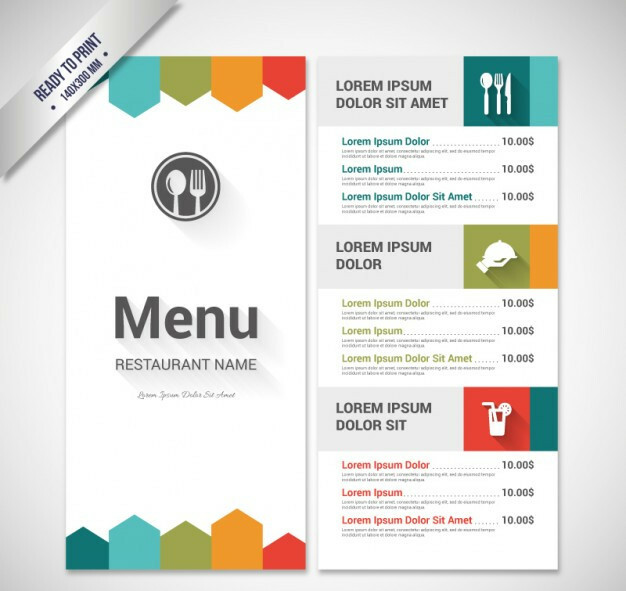 All the restaurants that offer all types of food and beverages to their customers can use this template to design a menu card for their restaurant. This menu is designed for all the vegetarian restaurants that offer simple vegan food to their customers. Watercolour design used to decorate the menu style will make your menu card look enticing and colorful. 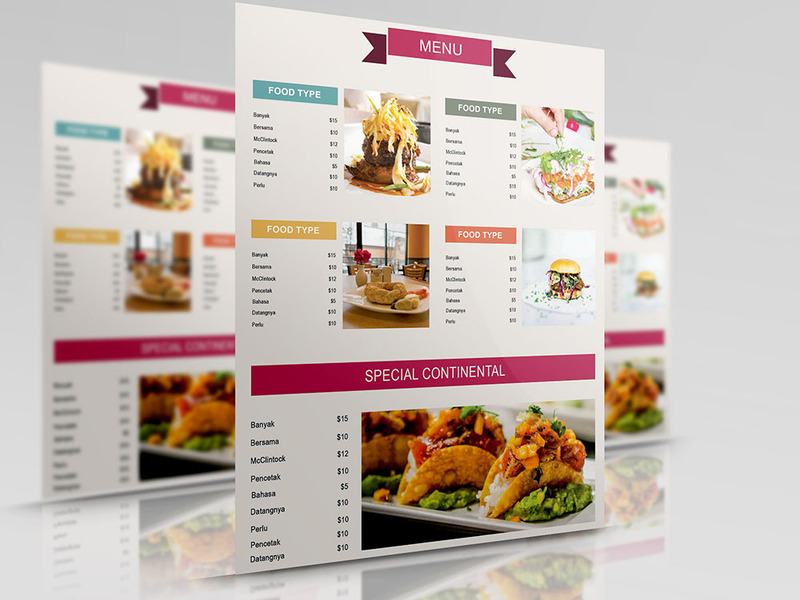 The colorful menu template is meant for all restaurants serving beverages, food, and desserts to their customers. The clear and minimal design of the menu is what makes it unique. Ornamental drawings are the main attraction for any wedding card and what better than to have a wedding menu card with ornamental designs. This menu card has been made for showcasing the buffet for all types of weddings. 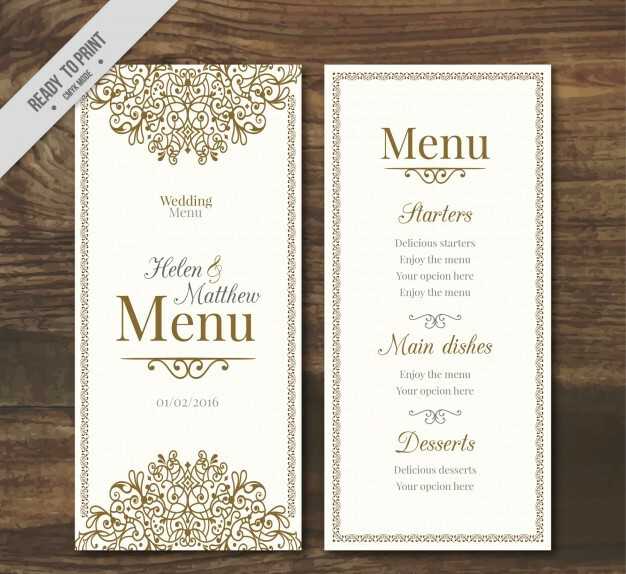 A classy old fashioned wedding is what is trending these days and this elegant wedding menu card will tell your guests how you wish to entertain them with yummy delights. 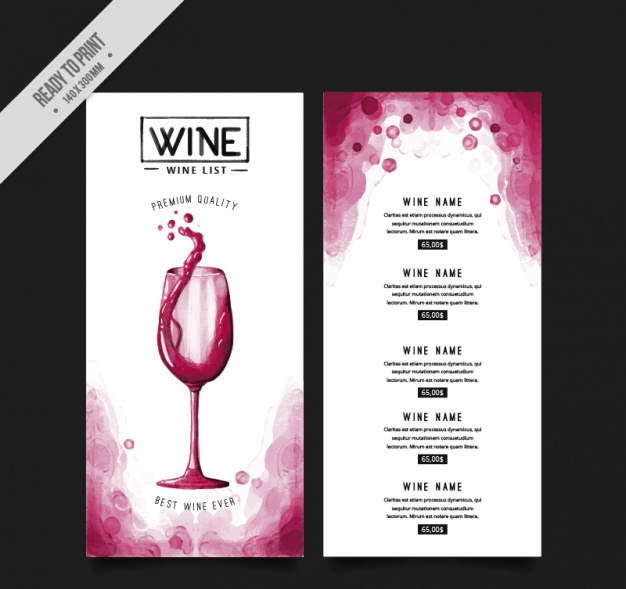 For all the wine shops or restaurants serving wine can have this specially designed wine menu to present their collection of exotic wine that you have. All the vegetarian restaurants or joints that offer vegan food can use this vintage hand drawn food menu card. 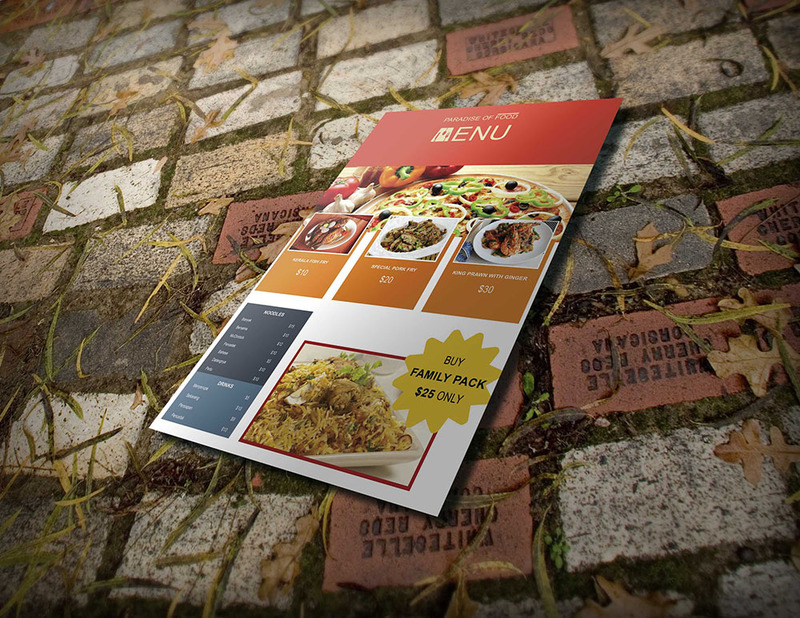 With this cool flyer mockup, you can show your hot menu to the public. This psd uses smart objects to change the background image with ease. 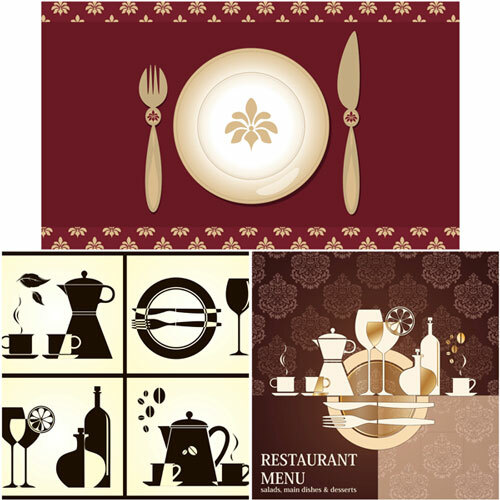 For those restaurants and lounges that have a retro ambience and offer delicacies from the past can use this menu brochure to complete their look. For joints and restaurants that serve traditional Christmas recipes to their customers – Black Christmas menu is what they need to have on the tables. 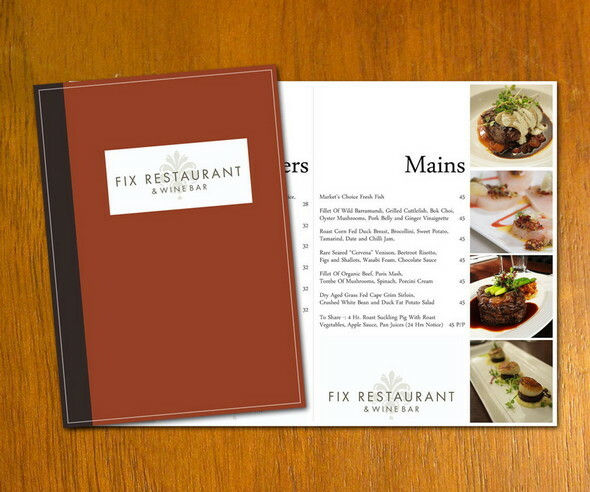 This is only front cover where you can mix with any other templates for restaurant menus. Feel free to use it in commercial and non-commercial projects, personal websites and printed work, as long as it’s a part of a larger design. 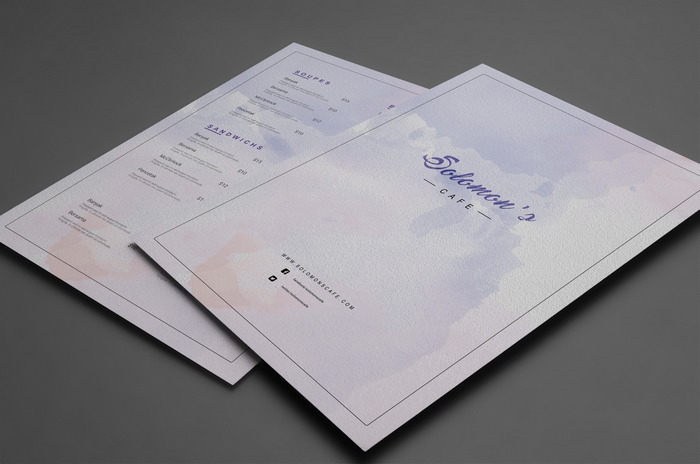 Set of 3 nice vector restaurant menu design templates for you. Format: EPS stock vector clip art. Free for download. Illustration of Menu cover vector design vector art, clipart, cafe menu cover design. Retro design cover menu Vector. Retro design cover menu.Prime pattern menu cover.The exquisite menu cover design vector for free. 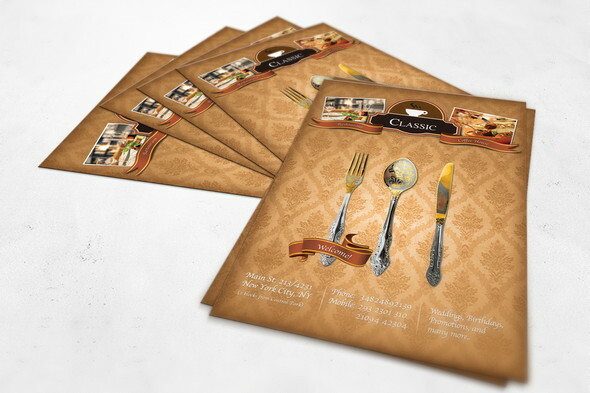 Flyer for an old-style restaurant in luxury look with damask texture background and nice curvy cutlery. A4 format, 300dpi, source psd and print ai file included! Nice rustic style flyer for modern restaurant. Full size download. 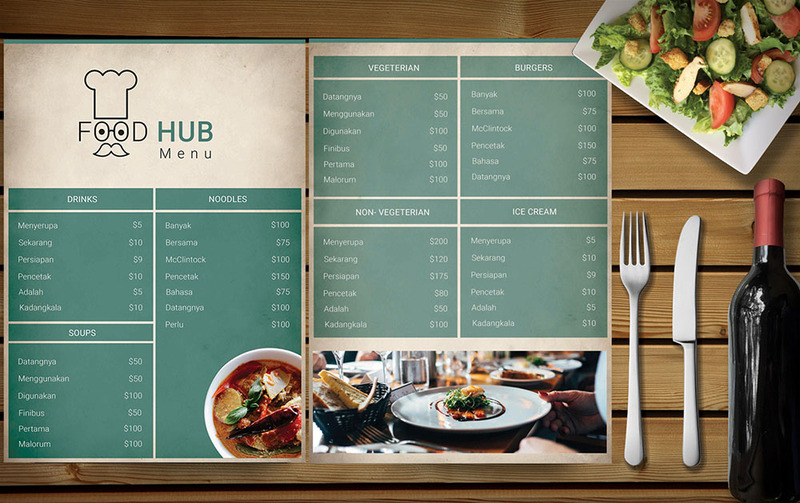 Restaurant menu PSD template suitable for all kind of eateries, eating houses, fast foods, cafes and any other businesses that prepare and serve food and drinks. So, if you happen to be a small restaurant that needs a menu template, then you’re in the right place. 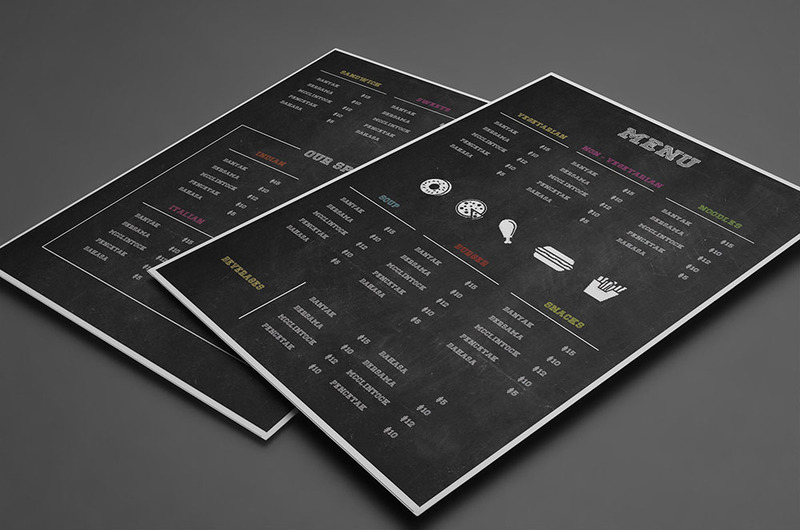 Our restaurant menu PSD comes free of charge and is ready to print. That’s certainly the easiest way out if you are on a tight schedule or on a low budget. 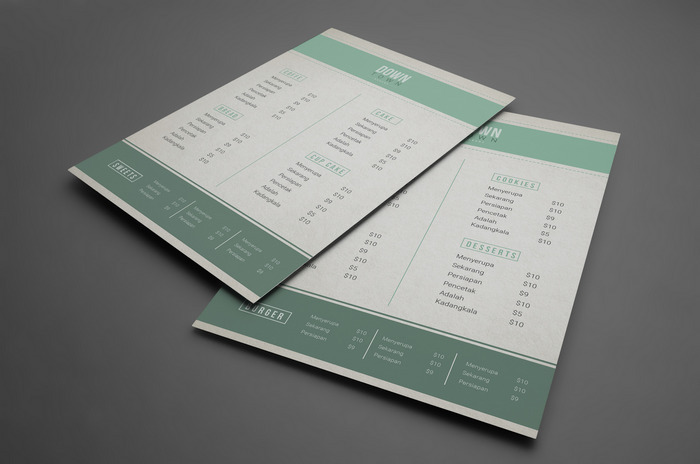 A set of Set of cafe and restaurant menu cover template vector for free download. An amazing cover design for the front page design. 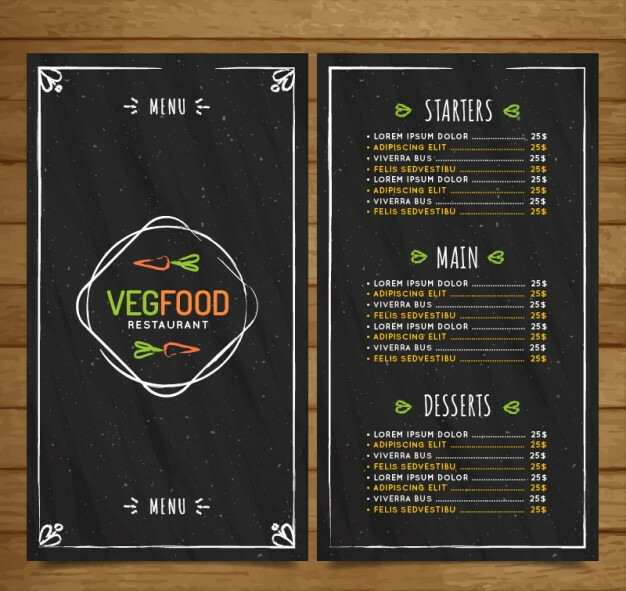 If you are running your own restaurant and need of a new and exciting menu design, Restaurant Menu Template will be the best option for you. 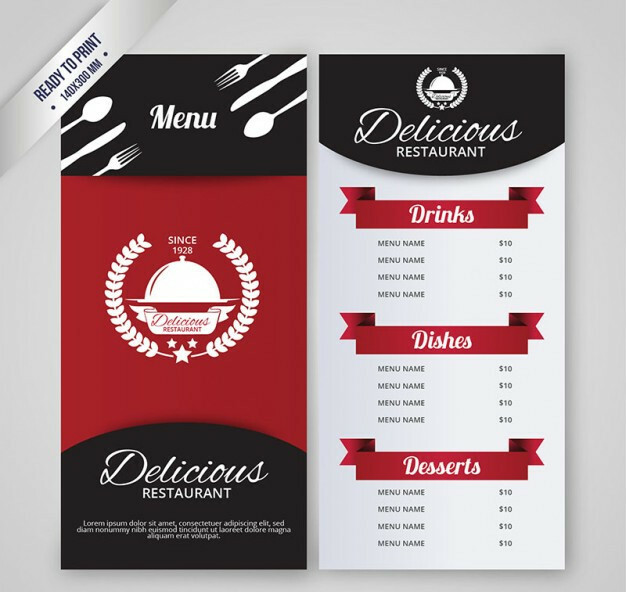 Menu card is an essential material for a good restaurant to impress your customers and it also helps the customers to know what product is available in that restaurant. 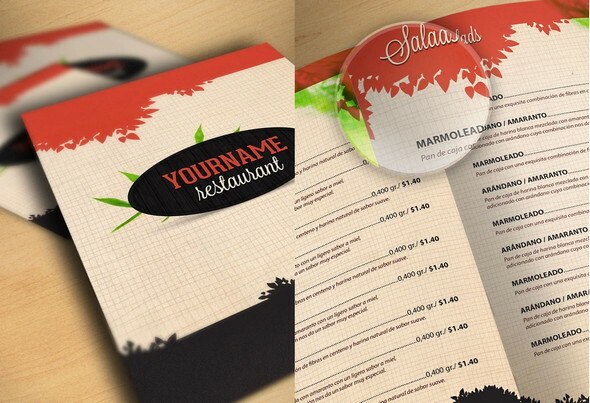 Display your logo, products and prices on this professional menu template. 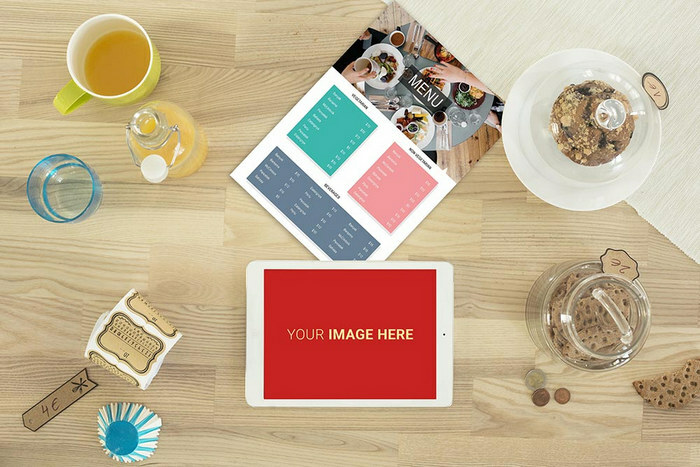 Display your best product photos along the side of the menu and your delicious menu options in the middle. 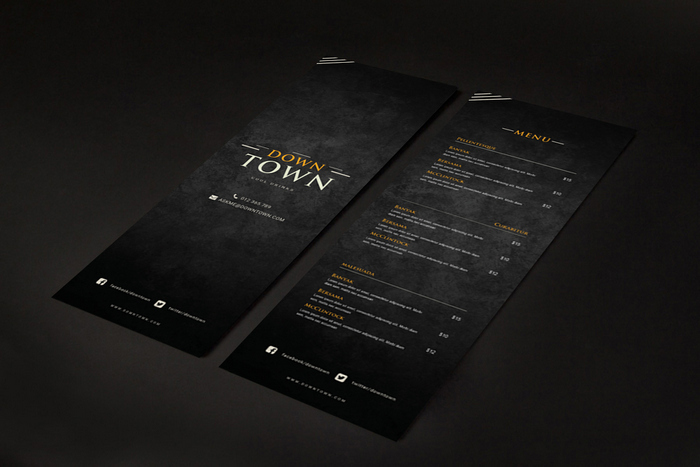 This Restaurant Menu Template is provided in .psd (Adobe Photoshop) format in A4 size. This is a Free Free Hotel Menu Card/Flyer PSD. 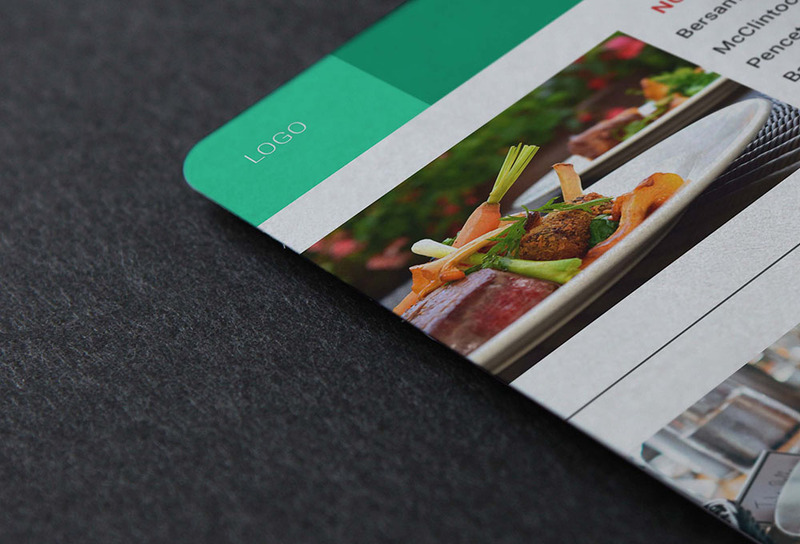 It is suitable for hotel menu card, restaurants, coffee shops. 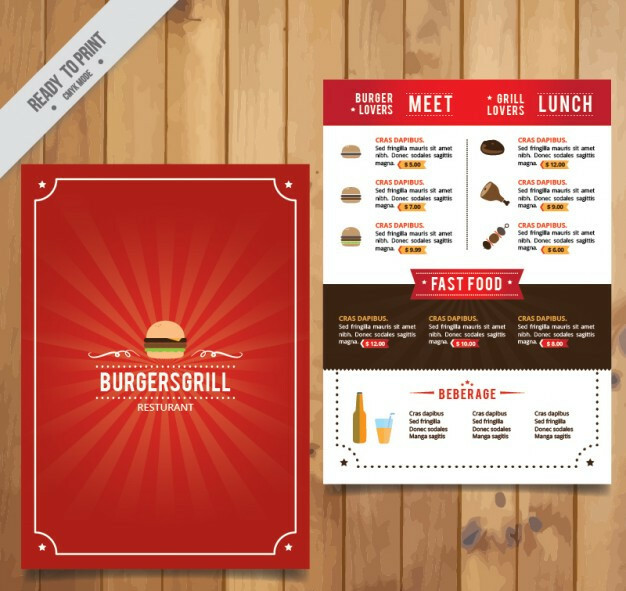 Yellow and brown colour are the highlight colours of the design, and it has three parts, the first half is a burger image, and the second half has a different type of menu items and the bottom part is shop logo and address. 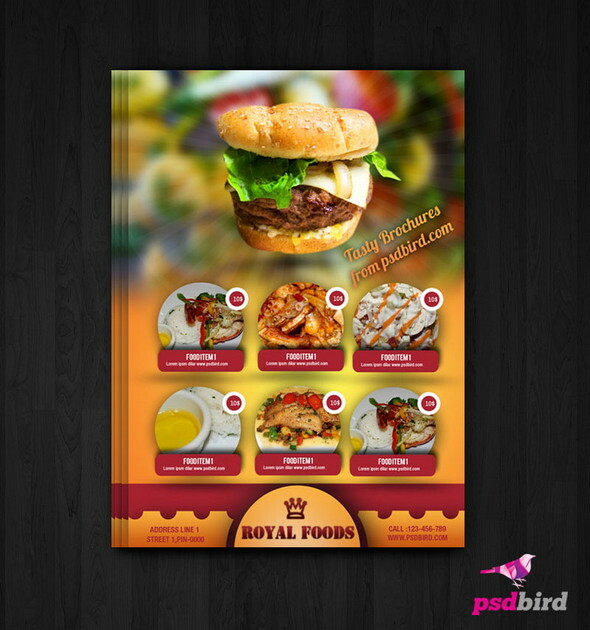 This is a Free Restaurant Menu card/Brochure PSD. It is suitable for hotel flyer design or any menu card design. Background is blurry style and highlighted with logo & caption. 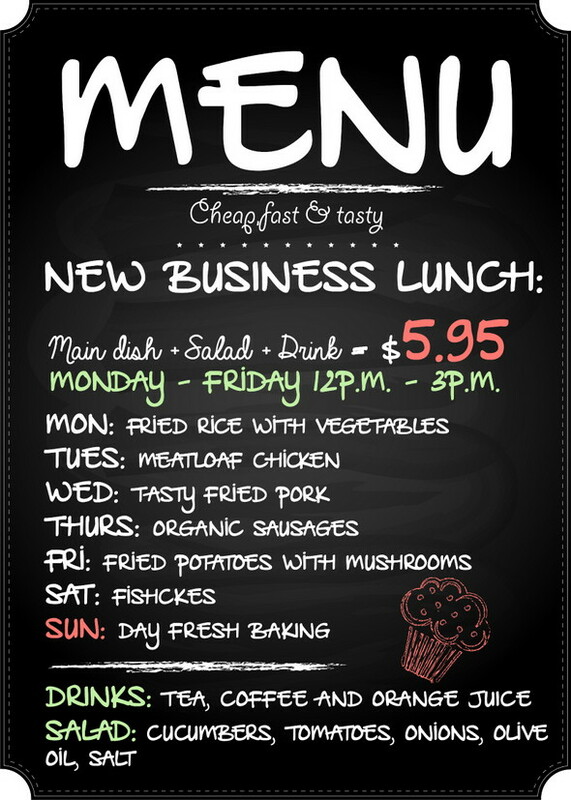 Bottom of the flyer have different menu items with editable images and text . Retro restaurant menu design with red fork, knife and dish. 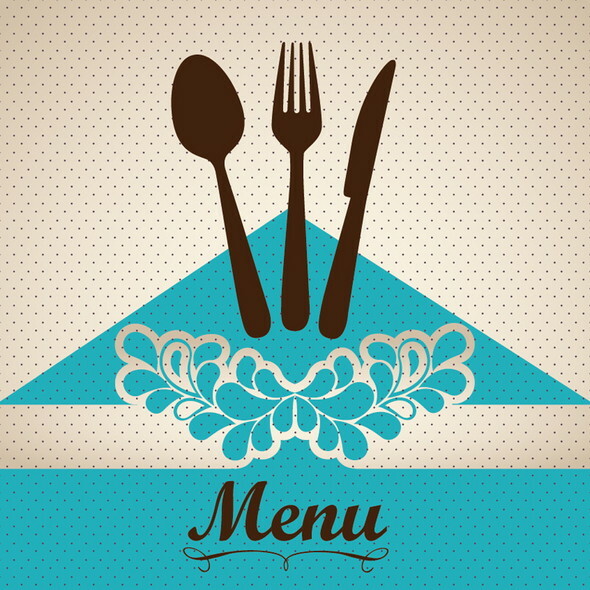 Free download restourant menu vector design in Ai. Also, check our free food and restaurant wordpress themes to build a restaurant business or food blog in a matter of minutes. They’re all so “generic” and ordinary, they look too common and don’t make a “statement.” None of them inspired me to order or made me want to get something from the menu. A picture is worth a thousand words. If you don’t use pictures in your menus you’re just like everyone else. i downloaded mock up for free but they say for personal user not commercial what is that exactly.